Acne affects men and women of all ages, not just teenagers. Acne bacteria feed off sebum, the natural oil in our skin. When the skin produces too much sebum it mixes with dead skin cells that accumulate on the surface of the skin and clogs pores leading to spots. Using a combination of advanced technologies and active ingredients BDR destroys acne-causing bacteria, unblocks pores and regulates sebum production returning the skin to a healthy, balanced state. 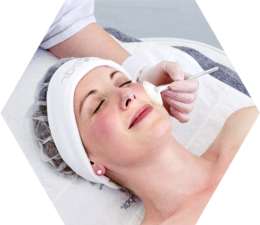 Delicate fruit acid peel gently loosens dead skin cell and excess oil debris unclogging the pores. Patented exfoliation technology polishes the skin’s surface, visibly reducing the appearance of large pores as well as helping the skin to purify. Our specially formulated skincare line with Micronized Silver balances the skin and regulates oil production reducing breakouts and inflammation. Our Sublime-Hands Massage stimulates lymph drainage and the removal of toxins for a clear and healthy complexion. 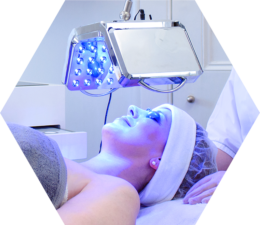 LED Light Therapy destroys spot-causing bacteria while promoting cell renewal and helping the skin to heal. BDR Acne treatment lasts 45 - 60 minutes. Please allow some time for the initial consulatation. 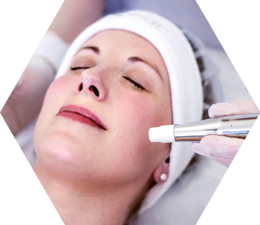 In order to achieve profound and lasting results it is important to treat the skin throughout the renewal cycle. 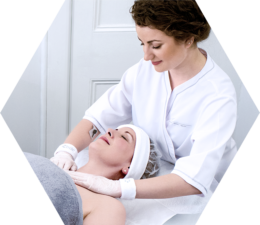 Our skin renews itself every 28-40 days, therefore we suggest one treatment per week for 4-8 weeks supported by a prescribed homecare protocol. 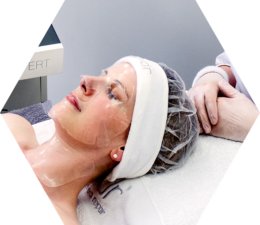 After a thorough skin consultation BDR skincare professional will prescribe a customised skincare program which will play an important role in your treatment plan and contribute to the overall efficacy. © 2019 Arna Group Ltd.